The Message HUB print station in Moscow is being put to good use, Brother Sergey Volkov reports. The saints in Moscow have translated and printed their first message book, What Is The Works Of God, 59-0404. 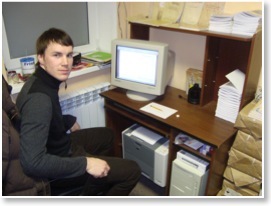 Brother Sergey has expressed the blessing that it is to be able to print the books for the local believers.